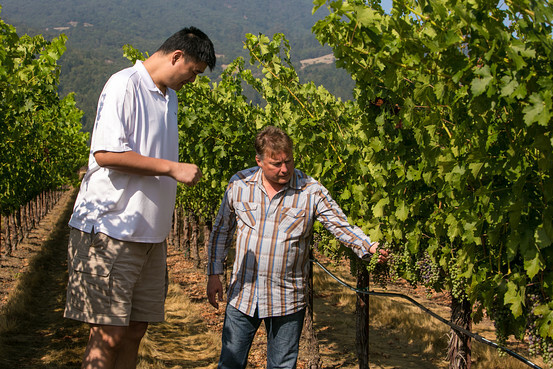 As China’s luxury wine market cools, Yao Ming, the former National Basketball Association all-star, is inviting U.S. wine and basketball enthusiasts to own a piece of his Napa Valley winery, for as little as $5,000 per person. Yao Family Wines plans to raise $3 million via Crowdfunder, a website for entrepreneurs to get funding from fans. The proceeds will be used to build a visitor center in Napa Valley and a tasting room in Shanghai, Mr. Yao’s hometown. Basketball-loving Chinese wine connoisseurs, however, will be left on the sidelines: Only high net-worth individuals who are American citizens and permanent residents can participate in the fund-raising effort because of U.S. securities laws. The U.S. company said if it were to make its offering in China or other foreign countries, then it would have to comply with the securities of each of those countries, which is not a practical undertaking for a small company.